Wealth Accumulation: Make it. Invest it. GROW it! The Money Counselor’s goal for every client is for them to feel empowered and educated when it comes to money. 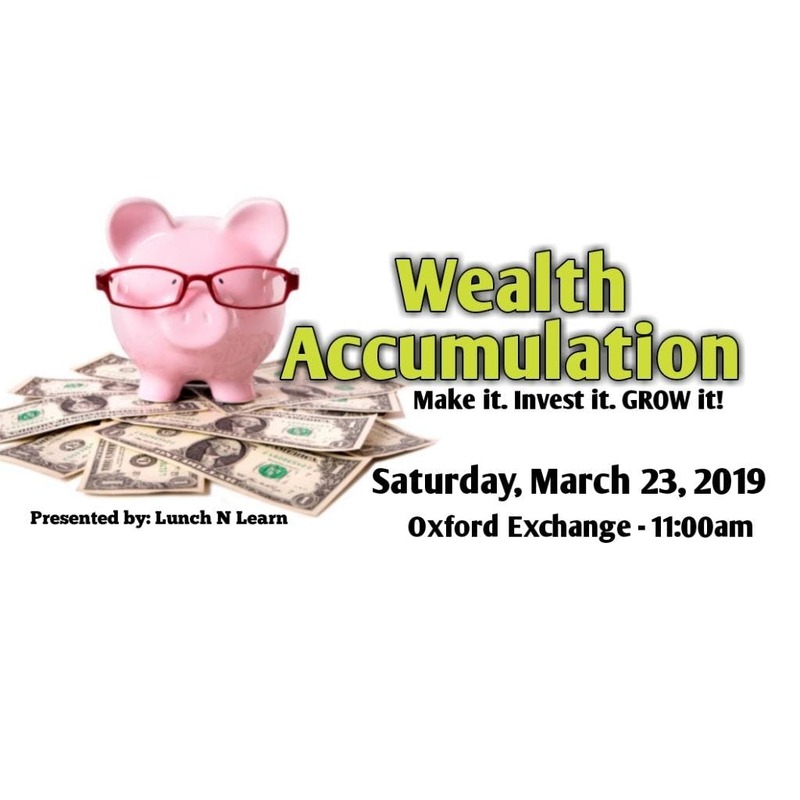 Understanding your retirement options, wealth accumulation strategies, planning for college, debt consolidation, and life insurance plans is the goal. We also promise to have some laughs along the way because money should not be so serious! And don’t forget, while you are learning, you will be enjoying a complimentary brunch which includes: scrambled eggs, bacon, sausage, and croissants.